In NYC it’s Pizza, in Philly it’s the Cheesesteak, in Baltimore its a Crab Cake, in Los Angeles, its the French Dip Sandwich, in Central Texas it’s Brisket, in North Carolina it’s Pulled Pork, in Chicago it’s Hot Dog … point is, our country is made of up of regional dishes. Foods that dominate a certain area become cultural definitions of that particular area. Lots of restaurants offer the item, Chefs create different interpretations, subtle differences pop up and loyalty begins to build. Ask a New Yorker; “Grimaldi’s or Di Fara” or a Philadelphian; “Jim’s or Geno’s” and you’re liable to get an earful on not only why one is better but why the other is such an inferior choice and 3 more will get mentioned that still don’t match with their favorite. We have a Food obsessed culture and we define ourselves by our taste buds. In Detroit, ask someone “which is your favorite Coney,” not only are you sure to get an answer but you might even get a number of answers that also have qualifiers. It’s not unlike someone from Michigan to have favorite regional Coneys, Coneys that they think are better for Breakfast, a Coney they prefer after a night at the local pub and more. 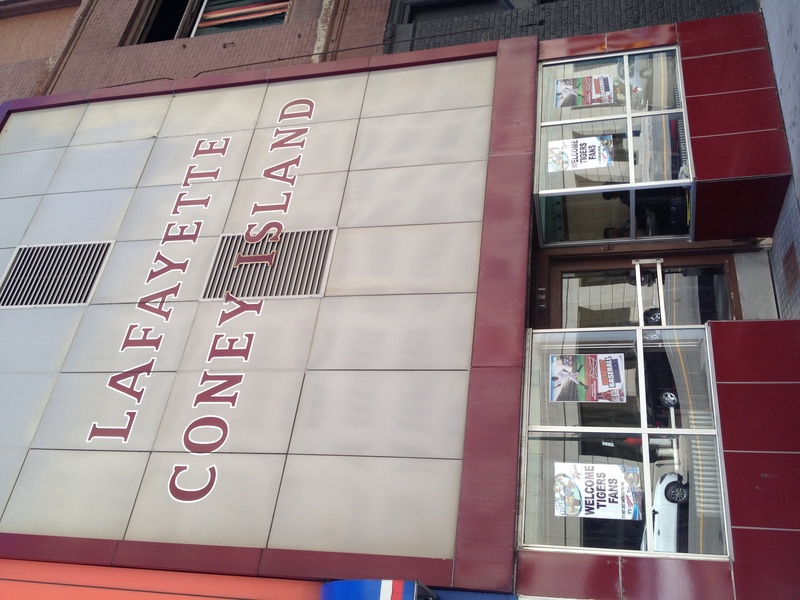 If you’ve never been to or lived in the lower glove, you probably have no idea what a “Coney” even is. A typical Coney Island is a short order Diner with a menu made up of a limited amount of items. The cuisine is Greek in origin like Gyros, Mediterranean, Salads, Souvlakis, but add to that breakfast items as well as Hamburgers. 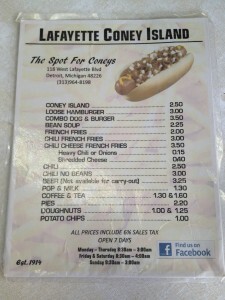 But the center piece of the menu is what also gives the restaurant it’s name, the Coney Island Hot Dog. 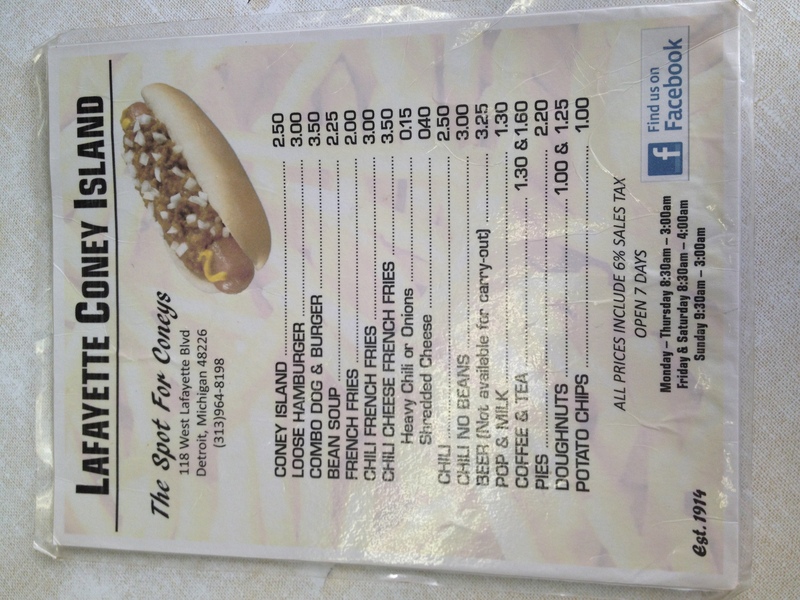 It’s a grilled natural casing Hot Dog, served in a Bun and topped with “Coney-Style” Chili, Diced Onions and Mustard. The Coney Chili is applied in copious amounts, guaranteeing you a messy eat. 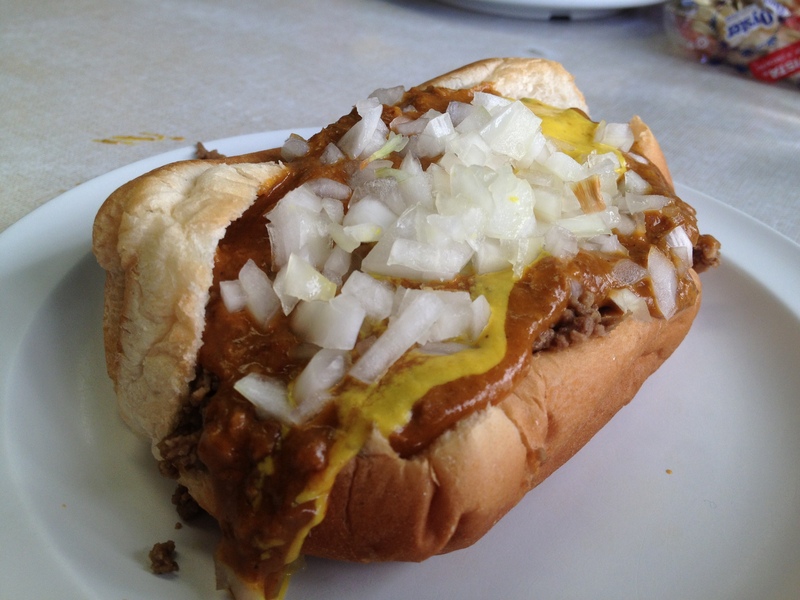 Depending on where you’re located, there are two main styles of Coney Chili; the Flint style which is made with a base of Ground Beef Hearts or the more popular Detroit Style that’s saucier. Coney Island’s date back to 1917 when brother Gust Keros and Bill Keros moved to Detroit and opened American Coney Island. It is one of the oldest businesses in the area. A few years into business Gus and Bill got into a dispute that sent Bill out the door and right next door to open a rival “Lafayette Coney Island.” The two businesses don’t just share a wall, they both offer several of the same menu items. 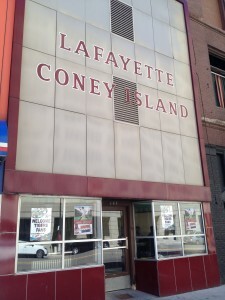 Lafayette opting to focus in on what makes a Coney a Coney; Coney Island Dogs, Burgers and Fries. Most folks don’t need a menu but they’ll offer one up if you ask. Just like in any other town, people have their favorite and are incredibly loyal to one of them. In general people who prefer Lafayette are purists and love Food for Food’s sake. It’s about the taste, the speed and the service. They don’t need fancy decorations, large menus, silly websites with professional photos, long drawn out stories that only tell half the story, ridiculous paper hats and so on and so forth. People who like American are generally either tourists or wouldn’t know the difference between a frozen Hungry Man entree and the finest meal in the land. In fact, the only reason to eat at American is just so you could taste the truth yourself. Or you can trust nearly a decade of serious eaters or at least me when we tell you, there’s no contest. Can you tell which I prefer? Admittedly, the Hamburger at Lafayette is not my first choice. That’s not to say it’s not good, it’s quite excellent in fact but the star of the show is the Coney Island Hot Dog. While Mustard and diced Onions are optional, they are also optimal. The savory, rich Chili bathes the the smoky all Beef Hot Dog like a warm Gravy Blanket while the sweetness of the Onions and the Vinegar flavor of the Yellow Mustard dance around the Dog like a flavor circus. You can try to eat it with your hands but unless you’re headed home afterwards, you’re risking a serious stain on shirt or in your lap. From the first bite to the last, every moment of a Lafayette Coney Island Hot Dog is pure delight. 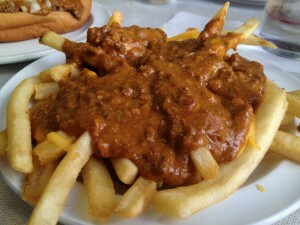 On the side, I always go Chili Cheese Fries. The small Shoe Strings get dolloped with a heavy dose of the same Chili. Before it’s applied to the thinly sliced and fried spuds, they’re covered in Cheese. Once the dish gets to your table, the Chili has melted the Cheese beneath it, ensuring you a gooey Cheese experience. I like to put a little Yellow Mustard on top which you should try before you knock it. Lafayette Coney Island Chili Cheese Fries might be one of my favorite dishes of all times and there is absolutely no way you can replicate it outside of their kitchen. 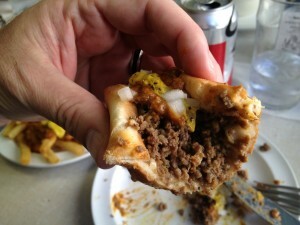 When you do order a Burger at a Coney Island, it a loose Meat Hamburger. This means the Beef is cooked still ground, rather than being formed into a Patty. It’s served the same way as the Dog, in a Bun with optimal Onions and Mustard. As the meat is, as the name states, loose, it’s cooked fully done and therefore has a Saltier taste. The Loose Meat Burger, much like the Hot Dog and French Fries, is just a vehicle for the one of a kind Coney Chili. If it’s your first time visiting Lafayette, make sure you show up hungry so you can try all 3. If Loose Meat that’s just not your thing, stick to the Dog and go seek a proper Detroit Slider at somewhere like Bates. When in the Detroit area, you can eat a Coney almost anywhere, but if you want the best one, go to Lafayette Coney Island. If you stop by American Coney Island while you’re there, it’s totally acceptable to stop and check out the place if you point and laugh at everyone there. With that, congrats to Michele and Adam on your nuptials. 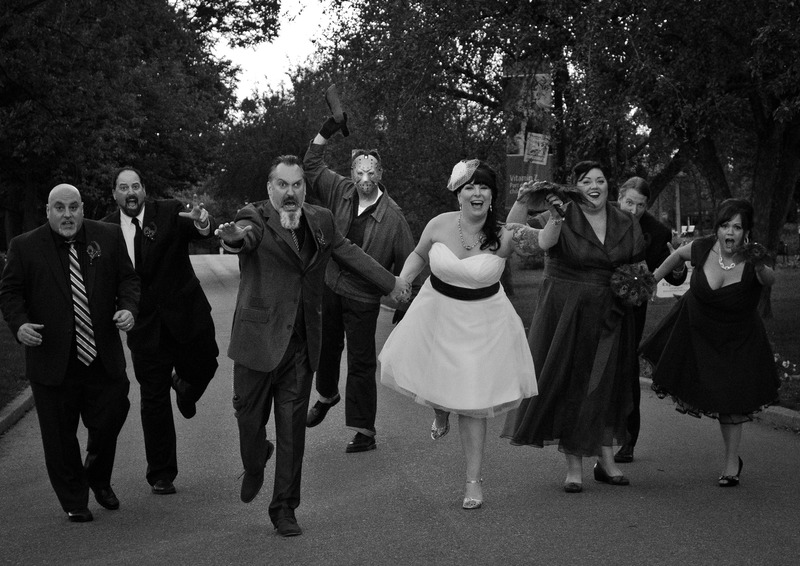 It doesn’t get much cooler than a wedding at the Detroit Zoo when the ring bearer is Jason Vorhees followed by a serenade from Elvis while eating a traditional Polish Meal. This entry was posted in Burgers, Hamburgers, National Hamburger Month and tagged american coney island, best burger, burger conquest, cheese, chili dog, chili fries, ciancio, coney, david, detroit, french fries, hamburger, Lafayette Coney Island, loose meat hamburger, michigan, rev, review. Bookmark the permalink.